Enjoy running long distances? Love pushing your boundaries but can’t really push yourself to the limit when it comes to running because of your high arches? Can’t find the perfect shoe that can help you overcome this problem, achieve your running goals, enjoy the sweet taste of victory and gear you up to set higher running targets? Well, then let’s just say it’s time to hit the tracks and make history. 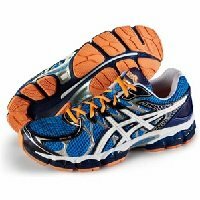 ASICS GEL-Nimbus 16 running shoes for men are the ultimate shoes for runners with high arches. That’s right; these shoes are designed to envy and built for performance. But wait, before we crack the code of what makes ASICS GEL-Nimbus 16 the best running shoes for under pronators, let us first educate ourselves about high arches and mind-blogging terms like pronation, which many runners, despite of having these problems, are not aware of and often quit running because they think there is not much they can do to live their dream of becoming a fast and successful runner. 1 What Everybody Ought To Know About High Arches? 7 Who Else Must Have The ASICS GEL-Nimbus 16 Running Shoes? 8 How Different Is The ASICS GEL-Nimbus 16 From The ASCIS-GEL-Cumulus 16? What Everybody Ought To Know About High Arches? A high arch is an indication that you supinate or roll your foot in the outward direction as you run. It is also known as under pronation. Pronation is the term used to describe how a runner’s foot rolls medially between toe off and footfall. Underpronation is when the foot rolls outwards and neutral pronation is when little rolling occurs. So, this is unusual, of course; but it’s not the end of the world! Although running in this style can contribute to the risk of injury and cause a number of uncomfortable side effects like ankle strain, plantar fasciitis, ligament rupture, stress fractures and even shin splints but this doesn’t mean that you cave in and give up on your dreams. To optimize your running potential and lower discomfort while running long distances, it is imperative to find the right shoes designed exclusively for high arches. Why? Well, because for special conditions, you need special shoes! Your high arches may pose running limitations but are you really going to let them come in your way? The secret to maximizing your running potential is to get your hands on the right pair of shoes- best running shoes for underpronation. It is a necessity to protect the body from injuries which may occur due to impact and shocks while running. For high arches, only three features in your shoe can change everything and we mean it; literally! And these three features are; cushioning, flexibility and the shape of your shoe. The cushier your running shoes, the better. Running shoes with high amount of cushioning and extra padding provide excellent shock absorption which is much needed by people with high arches. Different shoe brands use different technologies and materials for cushioning. For example; there are some brands that use neutral cushioning system featuring single density mid-sole. It offers uniform cushioning across the sole. On the other hand, there are some companies that readily use air cushioning, foams and gels to make their shoes cushier. You’ll be amazed to know that some brands like ASICS have developed their own proprietary technology to deliver superior and unmatched cushioning in their brand of running shoes. And as for the shape of the shoe, it should have a curved sole. Such a shoe structure promotes your foot to pronate slightly, giving the runner a more neutral running experience. Shoes for male runners with high arches should be both lightweight and flexible. Flexibility is a feature that cannot be compromised or overlooked for several reasons. Runners with high arches need flexible shoes because it helps offset the rigidity of their feet. In addition to this, it also facilitates with the distribution of impact of each stride. The best way to determine the flexibility in running shoes is to search for shoes with soft upper and tongue built. The sole should also be flexible and feature bounce back resiliency. A good way to test the flexibility of the running shoes is to bend it in different directions. Now that you know what kind of shoes will be best for your high arches; you are ready to look for the best pair of cushioning running shoes for men on the market. This will be challenging as the variety is endless. Either you can spend months and hundreds of dollars, your hard earned money on trying different brands of shoes and exploring options before you finally find the best running shoes for high arches or you can take our word and join the cushion revolution by hitting the tracks with ASICS GEL-Nimbus 16 –the shoe that’s leading the pack today! By putting your dibs on the ASICS GEL-Nimbus 16, you’ll be saving your hard earned money, valuable time and let’s not forget, sparing yourself from the long grind. It’s your call! Think about it? Ingeniously embedded with innovative cushioning technology, these bad boys are exclusively designed and built to provide exceptional fit, soft comfort, strong protection and superb cushioning for both neutral and under-pronating runners. It will not be wrong to say that ASICS GEL-Nimbus 16 is not just an ordinary running shoe, it is a revolution. From the material and shoe shape design to the advanced technology used in creating ASICS GEL Nimbus-16; it all contributes to its market success and ever-increasing popularity among neutral and under-pronating runners. ASICS GEL-Nimbus 16 is ideal for runners with high arches who have only aspired to run long distances with other runners but have never managed to, due to constraints that only a high arch runner can relate to and understand. In these shoes, covering long distance for runners with high arches is no less than a dream come true. The ultimate GEL-cushioning, shock absorption and flexibility of these shoes will make it easier for you to pace up and run long distances without breaking a sweat or getting yourself injured. You will enjoy maximum comfort and the bounce will make you feel like you are running on clouds. These shoes help keep fatigue low and muscle & joint performance high. GEL-Nimbus 16 users have been found saying that they just keep on adding another mile to their daily run and you might say the same when you start running in these shoes. After reading all that, you must be super-excited with joy! But calm down, this is just the beginning, wait till you learn about ASICS GEL-Nimbus 16’s awesome features, its benefits and what makes it better than the rest. This will make you more confident of your choice. First a little history! Let’s go back to the roots and find out how it all began. ASICS was founded by Kihachiro Onitsuka and established in 1949 after the Second World War. Onitsuka observed children running in the streets barefoot and often asked himself what he could do to help the youth of his country, Japan, and that is when he decided to create ASICS. The mission of ASICS was to provide high quality athletic footwear and promote the values of sports in young people. He wanted to provide youth quality footwear and help them perform their best in the sports arena. He believed that was the only way he could help the children of his country. After years of hard work, dedication and producing wide range of footwear for sports lovers and athletes, today ASICS is a leading shoe brand for runners in the world. ASICS revolutionary range of running shoes has set the benchmark in the industry and has earned the recognition for technical brilliance, innovation, superior comfort and unmatched quality. ASICS continues to introduce new and innovative shoes in the market with time, continuously outdoing their own predecessors. Following their legacy of highly functional shoes, ASIC GEL-Nimbus 16 for men is the newest addition in their wide range of running shoes, setting a new milestone in just the beginning of the 21st century. Let’s get down to business and find out what’s really inside this pair of running shoes that has people going gaga over it and adding to the madness. ASICS GEL-Nimbus 16 rear foot and fore foot GEL cushioning feature provides excellent shock absorption during both impact and toe-off phases, much needed for runners with high arches. The GEL cushioning in the front foot and rear foot enable runners to smoothly transition throughout the strides, minimizing the risk of foot injuries. The Fluid Fit technology integrated in this pair of shoes is worth mentioning. This unique feature craftily combines multi-directional stretch-mesh and stretch-reinforcements which lends them fluidity, offering a customized glove like fit to runners. On the other hand, the Fluid Ride technology in the midsole will have you enjoying luxury and soften up your landings. That’s right! This feature offer pillow softness and bounce back feel with the ultimate combination of luxurious cushioning, responsiveness and bounce back resiliency. These shoes are the best cushioning running shoes for a reason! Blisters on the feet after running long distances is what gets many runners screaming with pain and eventually, they end up throwing their shoes away because they hurt. But with ASIC GEL-Nimbus 16 running shoes for men, you will not have to worry about this anymore. The exo-skeletal heel clutch system helps runners keep heels secure and avoid blisters. It offers improved support and added comfort, exactly what every runner wants. The goal of most competitive runners is to run faster. They need shoes that are light and support the arch well. And this is what the Guidance Trusstic technology in these shoes deliver. The Guidance Trusstic System is light and provides improved gait efficiency and less impact during the run while ensuring mid-foot structural integrity. In other words, it enhances the natural gait of your feet while running long distances. The discrete and independently placed eyelets on the top help disburse lace tension, providing runners enhanced upper comfort. Who Else Must Have The ASICS GEL-Nimbus 16 Running Shoes? How Different Is The ASICS GEL-Nimbus 16 From The ASCIS-GEL-Cumulus 16? Albeit, Nimbus 16 and GEL-Cumulus 16 are both high quality running shoes from ASICS, but Nimbus 16 is ASICS’ top of the line cushioning running shoe; far better in design and performance when compared to GEL-Cumulus 16. ASICS GEL-Nimbus 16 has extra padding and you will get more GEL cushioning in the forefoot and rare foot than in Cumulus 16. The stretchy over lace and Fluid Fit system embedded inside Nimbus 16 gives more variability to hold the foot and adapts smoothly to the runner’s feet giving them excellent fit than GEL-Cumulus 16. Nimbus 16 has a modern design and has a more flexible heel counter. GEL-Cumulus 16, on the other hand, has a traditional and harder cup at the back which makes it feel more rigid at the back of the foot. Although it holds pretty well but it doesn’t give you that squeeze and customized fit that the more luxurious ASICS GEL-Nimbus 16 does. ASICS GEL-Nimbus 16 features soft meshes and lots of memory foams, giving you greater plush. Loads of memory foam inside GEL-Nimbus 16, grace various parts of the shoe, especially the upper part and the tongue, without compromising on the breathability of the shoe. While in GEL-Cumulus 16, you get a basic mesh and firmer foam. If you want more comfort and luxury; then Nimbus 16 is the perfect choice. In comparison with GEL-Cumulus 16, GEL-Nimbus 16 has extra, better yet thicker slab of rubber; that gives runners that extra bounce, a lot of grip and protection on the road. The high quality materials used; such as high abrasion rubber placed in critical areas of the outsole and the innovative technology systems deployed in Nimbus 16; make it exceptionally durable and capable of handling high mileage and even running in the snow. Well, pricing is the only feature where GEL-Cumulus 16 beats GEL-Nimbus 16. Yes, ASICS GEL-Nimbus 16 is slightly higher in price at in comparison to ASICS GEL-Cumulus 16 but let’s not forget that GEL-Nimbus 16 offers runners more value; so even if it is priced slightly higher, you know that you are getting more value for money. And this is why GEL-Nimbus 16 is the more famous big brother of GEL-Cumulus 16. So, selecting GEL-Nimbus 16 over GEL-Cumulus 16 makes a lot sense, doesn’t it? By getting your hands on ASICS GEL-Nimbus 16, the best cushioning running shoes for high arches, you can make history. In GEL-Nimbus 16, you can run high miles while preventing injuries. In these shoes, you can push yourself to the limit and set running goals of 80 to 100 miles consistently for a week – goals that you will be proud of when achieved. The grip, support and durability of these shoes give you the opportunity to explore different terrains and enjoy off-road running without any risk of injury. It protects your feet on different terrains from rocky mountain trails to streams and dirt paths and gives your feet the grip to control speed downhill. Who says you can’t get the best of both worlds? ASICS GEL-Nimbus 16 is not just a powerhouse when it comes to putting the tracks ablaze but it is also designed to envy. These shoes are bound to make you a fashion icon. Their style and seamless finishing reflects design brilliance and quality workmanship-shoes that can never go unnoticed. ASICS Nimbus 16 is available is different sizes and colors to match your style and taste. These multicolored shoes look jaw-dropping and fashionable. If you have a bold taste than Chinese red and black with neon green soles will be perfect to make your bold style statement on the tracks. All in all, ASICS GEL-Nimbus 16 running shoes are the best running shoes for high arches. It is no surprise that these running shoes have consistently received a high rating on Amazon by customers. As compared to its predecessors, ASICS GEL-Nimbus 16 offers more flexibility, superior comfort, extra cushioning and better support that runners with high arches and under pronation need and have always desired for. We agree it is slightly over priced, but the value it offers and the unique features these shoes boast; are worth the price tag. If you can get your dream shoes and set new records even with high arches by running in GEL-Nimbus 16; then we’ll say it’s worth the extra dollars spend. You can place your dibs on these shoes and make your investment with confidence. Even you if you run 100 miles a week, you still don’t have to worry about the wear and tear. The thick rubber in the sole will take you a lot of time to wear off. And that is not an overstatement!